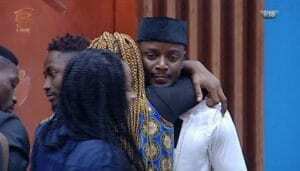 Big Brother Naija housemate, Alex gave an insight into her feelings for Leo during a question and answer session with Bam Bam and Cee C today. According to her, she would be so hurt if she gets out and realises Leo played her. She added she really feels he genuinely cares about her but admits she could be wrong. Alex further stated that if she gets out, and realises he lied to her, she would express her hurt and not keep it in. When asked about her biggest regret in the house, Alex said she wishes she didn’t cry over Leo the way she did when he was evicted. According to her, she didn’t even realise she cried so much and rolled on the floor, until other housemates told her. She further stated she still can”t believe the extent to which she cried until she gets out of the house and watches it herself.